RNH1 is a ribosomal-associated protein that regulates erythropoiesis by controlling GATA1 translation. 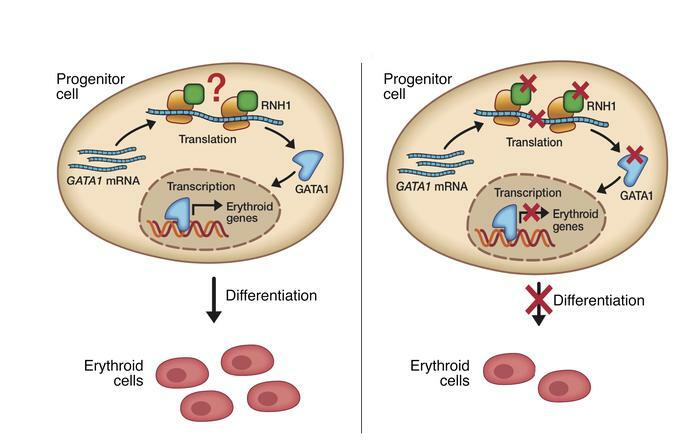 RNH1 is a ribosomal-associated protein involved in translation of GATA1, which leads to efficient differentiation of progenitor cells to mature erythroid cells. Lack of RNH1 decreases GATA1 levels, which leads to an arrest in differentiation.